“When a stranger sojourns with you in your land…” Thus began my scripture passage I had found during my Lectio time the morning we began our journey to the Rio Grande Valley aka…the Border Trip. 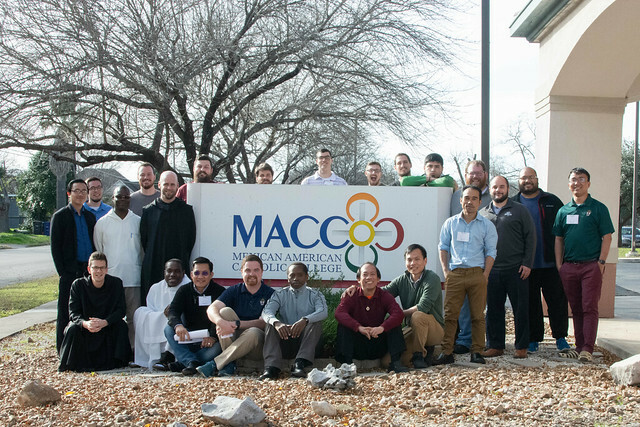 For those who don’t know, I was blessed to spend 2 weeks with my Second Theology Classmates in San Antonio, Texas completing a workshop and cultural immersion on Hispanic Ministry in the 21st Century at the Mexican American Catholic College (MACC). Our time in San Antonio was extremely blessed and I truly treasure those memories and the bonding experiences my classmates and I had there. 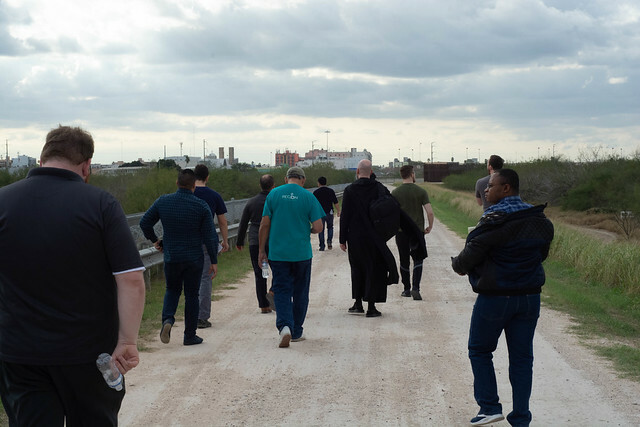 Besides our 5ish hours of class each day the middle of the trip included a visit to the Rio Grande Valley, known as the Border Experience Trip. We began our journey to the border with a morning of reflection with one of the MACC faculty members on immigrants, refugees, and the experiences she had working in refugee camps for a very long time. We read and reflected on Scripture passages…one of which was that poignant passage from Leviticus that had graced my morning prayer time. After lunch we packed up, boarded the bus and drove south to the Basilica Shrine of our Lady of the Valley, where we would stay in their pilgrim hotel for our few nights there. I am a huge fan when traveling of not judging others, their culture, their experiences, and the experiences I have while there with thoughts and preconceived notions from back home. I like to immerse myself in a place and experience life as a “local” of sorts. So, I prayed. Thanks to the great idea of my classmate, Brother Simon, OSB, we had a Holy Hour on Wednesday evening to pray for our experiences. And so we prayed!! I prayed that the Lord would bless this experience, that he would bless my classmates and I with open hearts, eyes, and ears, that we might listen to what the Lord was asking of us on this trip and that we would be able to leave the largely politicized language, and stories of the Border behind so that we could see what it truly was like. As I shared that Levitical text on my Facebook and Twitter, it so happened that President Trump was on his way down to the Valley at the same time and that our time there would overlap. Sure enough, I had a group of folks who began to comment and reply back about “pro-wall this” and “that.” As I responded to some of the claims being made, I found that I had to remind myself to be patient…quiet…kind…and to not let my ideas and pre-concieved notions get in the way. That was hard. My german-blood pressure was rising and I wanted to speak, but instead I chose to be silent…mostly. Yesterday we celebrated the Feast of the Conversion of Saint Paul. Each of us no matter our walk in life, our relationship with the Lord, etc. is in need of daily, personal conversion. I experienced a conversion of sorts at the wall, and since that’s the point of this post, I guess I should get to it! We had what I would call five “main” experiences at the Border. 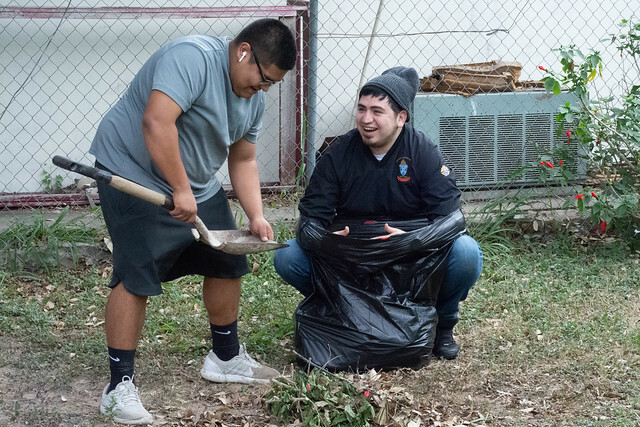 The first consisted of home visits with ARISE, (a group of immigrant women or others assisting them and working to make better, safer, and cleaner communities there in the Valley), several visits to pray and visit the Border wall, volunteering at a Respite Center, Mass at the Basilica, and a conversation with Bishop Daniel Flores, of Brownsville Texas. 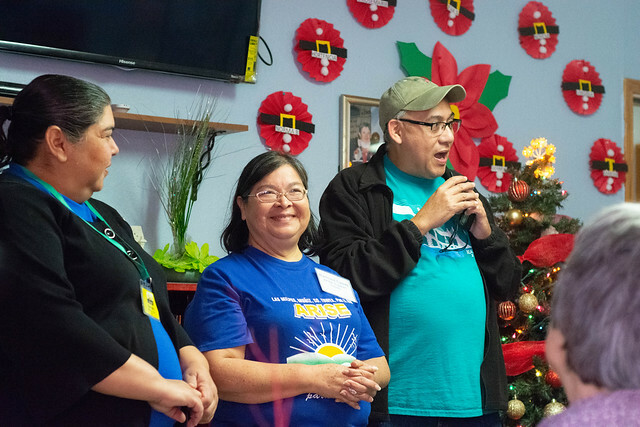 The Arise visit gave us the opportunity to hear from local immigrant families about their experiences and lives in both the USA and wherever they came from in South/Central America. My home visit brought me back instantly to my time in Guatemala. I got to practice my spanish, enjoy the wonderful hospitality of an Abuela, and hear of the struggles, joys, and faith of a woman who was deeply invested in her new home, city, and country. It was a wonderful experience. We also got to hear from a young woman who was a DACA recipient about her journey, the fears of being brought as a young girl to this country by Coyotes, the fear of losing her family…we cried with her as she shared with us the pain of not being able to go home for her Grandmothers funeral, her Uncle’s funeral, not being able to see family members who were instrumental in her young life ever again. I can’t begin to imagine what my life would be like if my parents had taken me and my triplets siblings as children to run to a foreign land just so we could have food on the table and a chance at a life of peace and joy. When we went to the Border wall, I was struck by how unnatural it was. 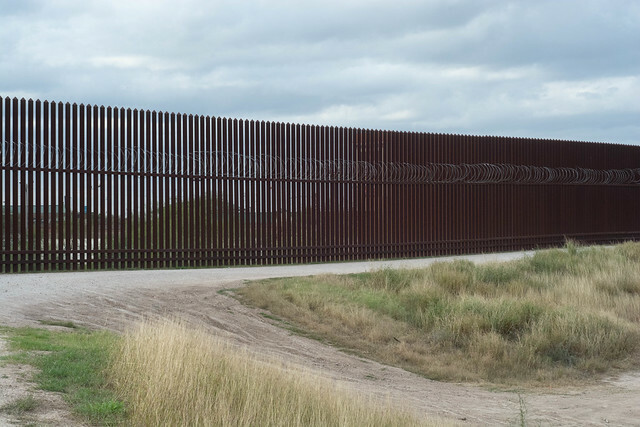 I was struck by the fact that beyond the wall was a beautiful texan/dessert America at times for several miles, but I as an American couldn’t go there because the wall prevented me. I was struck by the humor and the kindness shown by those we encountered there, the border agents getting into their vehicles to go home to their families after a long day. The ones who waved at us and smiled. This dichotomy of welcoming, hospitality, and refusal, denial was stark. The fence was cold. It was concrete, metal, and the top was covered in freshly installed barbed wire. It felt surreal. Almost like a war zone of sorts. I couldn’t wrap my mind around all of the emotions and feelings that I was experiencing. It just didn’t make sense. As we saw a ladder fashioned crudely out of 2×4’s on the American Side of the fence, I thought of and I prayed for whomever used it the night before to climb the wall and come to America. I prayed for their family, for their peace, safety, for their faith. As we continued our walk around the border wall I couldn’t help but be grateful. Grateful for the life I’ve had, the privileges (and believe me… they are privileges) I enjoy as an American, grateful for being born in the family I was, in the land I was, the faith I was given. Let there be hope. Hope. HOPE. We just celebrated the birth of our Savior at Christmas into the world. We remembered the message of love of hope that he brought. For those families we visited with the USA stands still as a beacon of light, of freedom, of safety, of peace, and the one thing EACH person said: “of HOPE” for them, for their loved ones, for the world. And Hope I felt. Hope I encountered in the women working at ARISE. Hope, I encountered in the girl crying as she shared her story of seeking freedom. Hope, was found in the Stations of the Cross we prayed our first night at the Basilica. HOPE, was found in almost every moment, because our HOPE was not based in just our country, in just our world, but in the Hope of a Life eternal, where there will be no division, no sadness, no pain, no fear…a future of Hope, as Isaiah the prophet spoke. Christ, Jesus Christ brought, was, and IS that Hope. After our visit with the good Bishop, we headed to a Respite Center to volunteer. This center was opened by Catholic Charities to assist those who have come into the Rio Valley seeking asylum with food, showers, clothing, and help in boarding their bus to wherever they are headed. Each person (except for the children) has a tracking device locked around their leg. That was unnerving. I understand the reasons the Government had placed it on them, (so that they could make sure they show up for their immigration court date) but it seemed cruel, cold, and inhospitable. As I walked at the back of the line through the old Nursing Home turned respite Center I came outside the back door where my classmates were walking around handing out “carritos” “Hot-wheels” and stuffed animals to the little children. I started to cry. Seeing these men, my brothers many of whom don’t speak a lick of Spanish besides “Hola” reaching out and encountering these people filled my heart with such joy. I remarked later to them that in that moment I saw them each as priests and I was filled with such joy thinking of the good they were going to do in the future as pastors to a world so in need of the Lord’s love and mercy. I met a gentleman who was my age. MY age. 24 who had brought his 4 year old son from Guatemala…left his wife and daughter behind so that he could live without fear and danger with the hope of one day having them reunite and be able to live in peace. We laughed. We joked with one another. And we reflected on the beautiful country and family he was pained to leave. I spoke with several other gentlemen there about life in the states, their lives and families they left behind, and gave them weather updates for where they were going. One of them asked me where I learned to speak Spanish. I explained my summer immersion in Guatemala. With tears in his eyes he thanked me. He a non-Catholic (who was quite surprised when I said I didn’t have a girlfriend or wife) thanked me for taking the time to learn his language so that I could share with him the love of God in that moment and bring a moment of peace and joy to him and the others there. That made my entire summer worth it. To encounter one man and be able to listen, to joke, to share with…That made my entire summer experience and the struggles of learning Spanish incredibly, wholly, worth it. I prayed for those folks every day I was in Texas and I still pray for them now. The words of thanks on their lips to Catholic Charities for reminding them of their dignity, of their creation in the image and likeness of God, of sharing compassion, food, comfort, with them broke my heart. Listening to children…little children under 8-11 years old tell you thank you for a hot wheel car, tell you how glad they are to have food, warm clothes, and to be with their families in a warm place after being detained in the giant “refrigeradores” (refrigerators) for days touches you and it moved my heart with pity and love. Misericordia, the sorrow of the heart was felt. But yet, there was HOPE. And for that I am grateful. At Mass on the Feast of the Baptism of the Lord, the Rector invited some of my brothers who are instituted Acolytes to assist with the distribution of Communion, after the Prayer after Communion, welcoming us again, he and the parishioners and visitors applauded for us as they promised prayers for our Vocations, and the communities we will one day serve. Is there a solution to the Border? Bishop Flores reminded us of our job as pastors is to invite ALL to the Eternal Banquet table. I don’t get to choose who I invite to the Heavenly Banquet. I as a future priest of Jesus Christ HAVE to serve ALL. Specifically, like Christ, I have to serve those in need. I, like the Church do not ask for legal documentation before helping someone in need. I ask, what do you need? Food? Shelter? Clothing? And I strive to meet that need. No questions asked. Why? Because my job is the care of souls. I am called daily to make Christ’s sacrifice on the Cross my own. I am called to deny what I want, for what Christ asks of me. I am called to daily conversion. Which for me, includes welcoming the stranger and seeing them as friend. I am called to be the hands of Christ to a broken world, to help each person to know that they are loved, that they are valued, in whose image they have been created, and by who’s blood they have been purchased and redeemed. Omar assists a youth in picking up leaves in a yard. My job, my role, my calling is to welcome the stranger-for in the Church, ALL have a home. Not just a select few. Not just those born in this land. Not just those with a passport or green card. Not just those who have a job. ALL. EACH and EVERY person has a home and is welcomed in the Church as if they’re Christ-himself. Because… they ARE. Our Theologies of Incarnation, elevate the human person. Because Christ, the living-God humbled himself and became man, he raised our human flesh to the dignity and honor due to God. We are the people he has claimed as His own. And because of that we MUST strive to always uphold the dignity of every person. It’s common knowledge that we have a broken immigration system. It is under-funded, under-staffed, and does not always honor the dignity of each human person. At the same time, neither does our healthcare system, education system…the list goes on and on. For us…this side of Heaven we have to strive to build up a better world each day. That means a lot of reforms. Our country is incredibly blessed and I wouldn’t want to live anywhere else, but…but that doesn’t mean that we still can’t and still shouldn’t do better! Should we have a wall? I honestly don’t know. Part of me says yes. Part of me says no. I don’t think it is my place to get into that argument in depth here. If you want to know, feel free to ask me my mixture of thoughts in person. 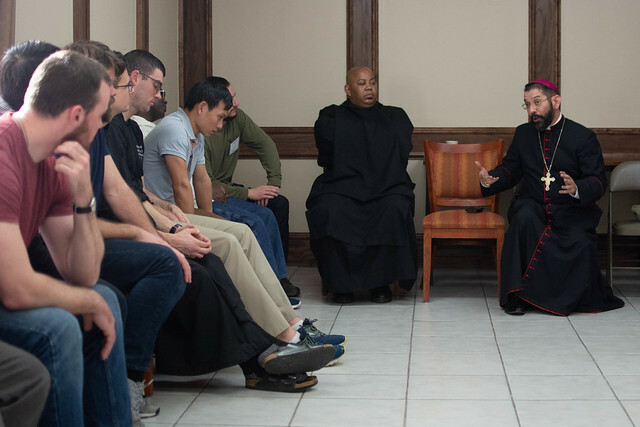 However… as a Seminarian and God-willing future priest I think, I believe, I know that the Church has the ability, authority, and mandate to speak on the basic topics of immigration and immigrants. Her job is to safe guard and help us recognize the dignity of others.So what does she say? The Catechism lays out two main points on this topic meant to balance each other. Yes, that’s right it’s the good old Catholic “Both-And.” Nations have the right and duty when able to assist those in need, to require something of them, and to defend themselves. It’s a balance and truthfully, it will be very hard to find a solution that fits both perfectly. But we must try to do such. “Do you want the wall to be built? Fine, but be sure that your support is based on national security and the common good of our citizens rather than a rejection of the generosity required of a prosperous nation such as ours. My experience at the Border was one of joy. One of sorrow. One of hope. There’s a lot of work that needs to be done. There’s a lot of humility that needs to be received by both sides of the discussion. And there’s a lot of conversion of our hearts that needs to take place…mine included! May the Lord bless us with the grace to welcome the stranger, the immigrant, those in need as if we were welcoming himself…the Christ child, into the world on that Christmas night. May he, the child of immigrants, who showed us in his lowly birth how he came for ALL, help us to serve all, to love all on this walk of beauty, so that at the end forever we might be with Him in Heaven. We’re all on this journey together. The immigrant walking their own way of the Cross to a better life. The natural born citizen walking toward racial equality. The woman walking toward equal pay. The man walking to find a job to put food on the table for his family. Our life can be a living set of the Stations of the Cross if we let it. If we let Christ in… If we let Christ walk with us… IF we let Christ lead us to Calvary with him, will we have the courage to stand up, to speak peace, love, mercy, and forgiveness as he did? Will we have the courage to defend the widowed, the orphan, the stranger, the naked, the hungry? If we won’t be the hands and feet of Christ on this walk of ugliness, of sin, but yet of beauty, of human fleshiness, of messiness, who will? It’s up to us as future pastors to deal with the care of souls. To welcome all to the Eternal Banquet of Heaven, to build community among a culture which prefers to be detrimentally-individualistic, and to help others to see the face, the hands, the feet, the heart and body of Christ in each person we encounter. The Seven Story Mountain is definitely my favorite of Thomas Merton writings. The above quote popped up on my Facebook Memories this morning from a few years ago. I think that it highlights these final days of the Advent Season in a beautiful way. Currently, at Mass and Evening Prayer we are hearing/singing/chanting/praying the “O Antiphons”, (See my post from a few years ago here.) today we heard O Clavis David…Key of David. These ancient titles for the Christ, the Messiah, the Redeemer connect us with our Jewish roots and with principal titles for the Messiah and what he will/has/does come to do for us. To me this evening, that antiphon spoke light into the semi-dark corners of my spiritual life and helped me to see just a little bit more clearly how much more I needed Christ in my life. How I needed the Key of David to come and unlock the chains that still bind me, how I needed the Key of David to lead me into a deeper sense and lived experience of freedom. 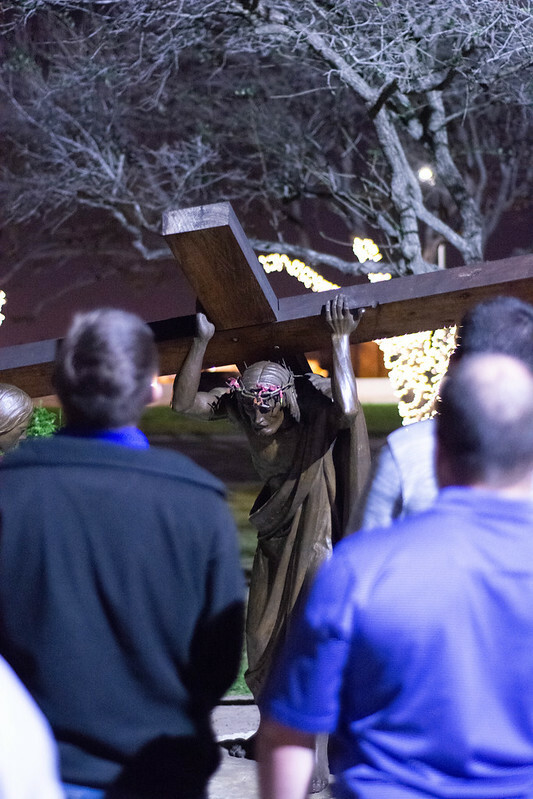 As we have come to the end of the school semester and my mind has been bogged down for the past few weeks with finals, papers, and readings, Advent hasn’t been all that “peaceful.” Tonight, that changed. Tonight I entered a bit deeper into that peace, that quiet waiting with joy, hope, and expectation for the coming of the Messiah, our Redeemer. Tonight, in my heart, in my soul, I was able to cry out in song, chant…for grace…for help…for the coming of Emmanuel…God with us. May you have the opportunity to sit a while, rest in the silence, the peace, the quiet waiting of these coming days so that we might join the Angels, Singing in Exultation as Christ comes not only in the manger of Bethlehem, but into the mangers of our hearts. May we make him room! Christ conquers, Christ reigns, Christ Commands! It’s a beautiful text, check it out! After the text, there are a few links to different versions and a the history of the Liturgy and naming of today’s Feast! N., Summo Pontifici et universali Pape, vita! pax a Deo, rerum ubertas morumque civilium rectitudo. Tempora bona habeant! Tempora bona habeant! faithful to their worries, life! May they have favourable times! May the peace of Christ come! May the reign of Christ come! The Feast of Christ the King was established by Pope Pius XI in 1925 as an antidote to secularism, a way of life which leaves God out of man’s thinking and living and organizes his life as if God did not exist. 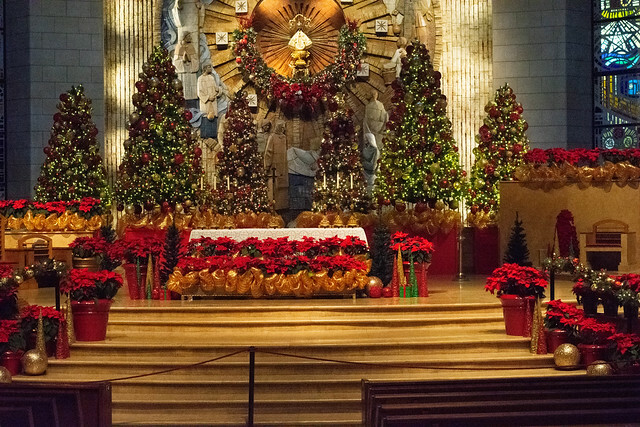 The feast is intended to proclaim in a striking and effective manner Christ’s royalty over individuals, families, society, governments, and nations. Today’s Mass establishes the titles for Christ’s royalty over men: 1) Christ is God, the Creator of the universe and hence wields a supreme power over all things; “All things were created by Him”; 2) Christ is our Redeemer, He purchased us by His precious Blood, and made us His property and possession; 3) Christ is Head of the Church, “holding in all things the primacy”; 4) God bestowed upon Christ the nations of the world as His special possession and dominion. The liturgy is an album in which every epoch of Church history immortalizes itself. Therein, accordingly, can be found the various pictures of Christ beloved during succeeding centuries. In its pages we see pictures of Jesus suffering and in agony; we see pictures of His Sacred Heart; yet these pictures are not proper to the nature of the liturgy as such; they resemble baroque altars in a gothic church. Classic liturgy knows but one Christ: the King, radiant, majestic, and divine. With an ever-growing desire, all Advent awaits the “coming King”; in the chants of the breviary we find repeated again and again the two expressions “King” and “is coming.” On Christmas the Church would greet, not the Child of Bethlehem, but the Rex Pacificus — “the King of peace gloriously reigning.” Within a fortnight, there follows a feast which belongs to the greatest of the feasts of the Church year — the Epiphany. As in ancient times oriental monarchs visited their principalities (theophany), so the divine King appears in His city, the Church; from its sacred precincts He casts His glance over all the world….On the final feast of the Christmas cycle, the Presentation of the Blessed Virgin Mary, holy Church meets her royal Bridegroom with virginal love: “Adorn your bridal chamber, O Sion, and receive Christ your King!” The burden of the Christmas cycle may be summed up in these words: Christ the King establishes His Kingdom of light upon earth! If we now consider the Easter cycle, the luster of Christ’s royal dignity is indeed somewhat veiled by His sufferings; nevertheless, it is not the suffering Jesus who is present to the eyes of the Church as much as Christ the royal Hero and Warrior who upon the battlefield of Golgotha struggles with the mighty and dies in triumph. Even during Lent and Passiontide the Church acclaims her King. The act of homage on Palm Sunday is intensely stirring; singing psalms in festal procession we accompany our Savior singing: Gloria, laus et honor tibi sit, Rex Christe, “Glory, praise and honor be to Thee, Christ, O King!” It is true that on Good Friday the Church meditates upon the Man of Sorrows in agony upon the Cross, but at the same time, and perhaps more so, she beholds Him as King upon a royal throne. 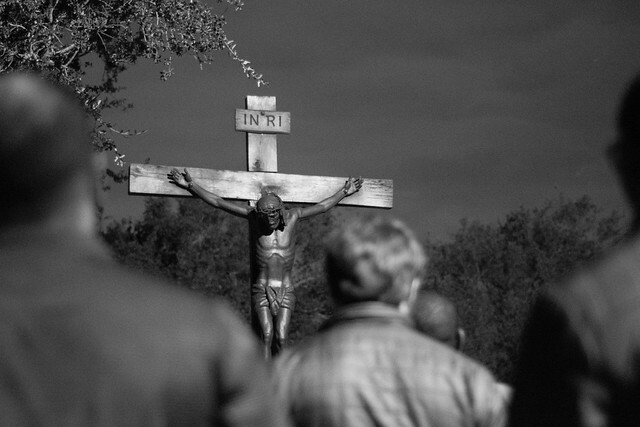 The hymn Vexilla Regis, “The royal banners forward go,” is the more perfect expression of the spirit from which the Good Friday liturgy has arisen. Also characteristic is the verse from Psalm 95, Dicite in gentibus quia Dominus regnavit, to which the early Christians always added, a ligno, “Proclaim among the Gentiles: the Lord reigns from upon the tree of the Cross!” During Paschal time the Church is so occupied with her glorified Savior and Conqueror that kingship references become rarer; nevertheless, toward the end of the season we celebrate our King’s triumph after completing the work of redemption, His royal enthronement on Ascension Thursday. Neither in the time after Pentecost is the picture of Christ as King wholly absent from the liturgy. Corpus Christi is a royal festival: “Christ the King who rules the nations, come, let us adore” (Invit.). In the Greek Church the feast of the Transfiguration is the principal solemnity in honor of Christ’s kingship, Summum Regem gloriae Christum adoremus (Invit.). Finally at the sunset of the ecclesiastical year, the Church awaits with burning desire the return of the King of Majesty. We will overlook further considerations in favor of a glance at the daily Offices. How often do we not begin Matins with an act of royal homage: “The King of apostles, of martyrs, of confessors, of virgins — come, let us adore” (Invit.). Lauds is often introduced with Dominus regnavit, “The Lord is King”. Christ as King is also a first consideration at the threshold of each day; for morning after morning we renew our oath of fidelity at Prime: “To the King of ages be honor and glory.” Every oration is concluded through our Mediator Christ Jesus “who lives and reigns forever.” Yes, age-old liturgy beholds Christ reigning as King in His basilica (etym. : “the king’s house”), upon the altar as His throne. Wounds. We all have them. Some we don’t want. Others we try to hide and still others we can’t help but recall from time to time, if not every day. Wounds make us who we are. Wounds cut. They hurt. They go shallow and they go deep. Yet, they also can transform. One of my favorite quotes comes from Pope Benedict XVI, in an idea that he takes from some of the Fathers. The idea that we must allow ourselves to be wounded by beauty. We must allow the beauty of God, the love of God to pierce our heart and to make it beat and bleed for love of God. What wounds do you not want? Told that you’re not beautiful? The list could go on and on. But what happens if we allow the Lord to have that wound? What happens if we allow he Lord to take that wound and join it to his 5 most glorious and precious wounds? What if we allow the Lord to crucify that wound in our life to the cross with himself? What then? How might our lives be changed? How might they grow? How might we be transformed by our wounds? “Inspire our hearts, I ask you, Jesus, with that breath of your Spirit; wound our souls with your love, so that the soul of each and every one of us may say in truth: Show me my soul’s desire, for I am wounded by your love. These are the wounds I wish for, Lord. What if we allow our wounds to be replaced with new wounds? What if we allow Christ to wound us with his love? The Abbot St. Columban put it beautifully in the Office of Readings this morning. Read his words below and imagine what would happen if you and I allow our wounds to be transformed by love? What would happen if we allow ourselves to be transformed by Him who loves us more than anything else he has created? What if? 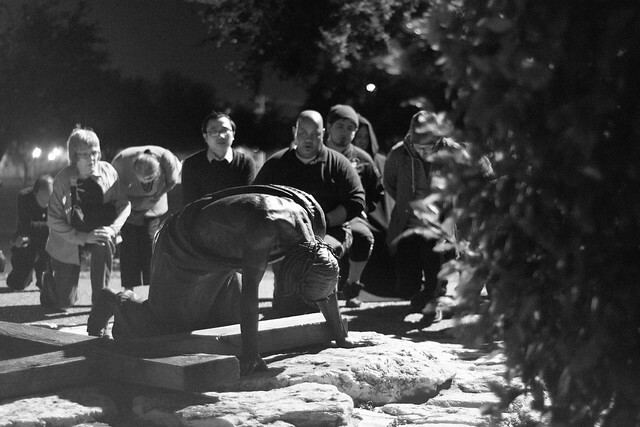 Brethren, let us follow that vocation by which we are called from life to the fountain of life. He is the fountain, not only of living water, but of eternal life. He is the fountain of light and spiritual illumination; for from him come all these things: wisdom, life and eternal light. The author of life is the fountain of life; the creator of light is the fountain of spiritual illumination. Therefore, let us seek the fountain of light and life and the living water by despising what we see, by leaving the world and dwelling in the highest heavens. Let us seek these things, and like rational and shrewd fish may we drink the living water which wells up to eternal life. O God, you are yourself that fountain ever and again to be desired, ever and again to be consumed. Lord Christ, always give us this water to be for us the source of the living water which wells up to eternal life. I ask you for your great benefits. Who does not know it? You, King of glory, know how to give great gifts, and you have promised them; there is nothing greater than you, and you bestowed yourself upon us; you gave yourself for us. Therefore, we ask that we may know what we love, since we ask nothing other than that you give us yourself. For you are our all: our life, our light, our salvation, our food and our drink, our God. Inspire our hearts, I ask you, Jesus, with that breath of your Spirit; wound our souls with your love, so that the soul of each and every one of us may say in truth: Show me my soul’s desire, for I am wounded by your love. These are the wounds I wish for, Lord. Blessed is the soul so wounded by love. Such a soul seeks the fountain of eternal life and drinks from it, although it continues to thirst and its thirst grows ever greater even as it drinks. Therefore, the more the soul loves, the more it desires to love, and the greater its suffering, the greater its healing. In this same way may our God and Lord Jesus Christ, the good and saving physician, wound the depths of our souls with a healing wound—the same Jesus Christ who reigns in unity with the Father and the Holy Spirit, for ever and ever. Amen. If you used to be Catholic, have been re-baptized, are a protestant, etc. Read this! A disclaimer: This is a hard subject. So first, please don’t just read part of what I have to say and then stop. Read it all. From top to bottom. Thank you! I have friends and yes, even family members who have left the Catholic Church for one reason or another. I pray each day that they might one day return home to the folds of the One, Holy, Catholic (the word means: Universal), and Apostolic Church, which Christ founded. Why leave? Each person will say something different. They each have different reasons. And while those reasons have a value to them and deserve to be honored, and discussed so that wounds and misunderstandings can be healed, there is one main reason they leave which they won’t tell me, and I’d even dare to say it’d be something that some of them would argue about and deny. But I know. I know what the answer is that is at the root of their leaving. Because even with all of the other problems they might have with the Church, if they knew. If they believed. If they would vouch their life upon this ONE thing. They never would leave. Because that which they don’t believe is the most precious thing, the most precious person, this side of Heaven. What is the root of them leaving? Today. In the Church. In 2018, many, many, many leave the faith. They leave the Church for one reason or another, but altogether at it’s core: “Because this teaching is hard.” If we took Jesus at his word, if we believed what he said, we would work to forgive any fault and heal any wound, because being able to consume and receive the living Body, Blood, Soul, and Divinity of our Lord and Savior Jesus Christ is a gift we would never, ever want to be without. So they leave the Church. They leave the Eucharist, the very Body and Blood of our Lord, and they leave his Body of the Church on Earth to join a broken part of that Body. Yes, while many protestant religions fall under the category “Christian,” they are not fully united to the Body of Christ on Earth. These aspects of “differences of faith and belief” separate and break the Body of Christ. But there is one thing that does unite us. Baptism. Through the saving waters of Baptism, through the invocation of the Holy Trinity: “N. I baptize you in the Name of the Father, and of the Son, and of the Holy Spirit.” All are united to Christ and to one another. We as Catholics profess “One Baptism for the forgiveness of sins.” Once you have been baptized, whether as a baby, or a child, or an adult, the door to a Life of Grace is opened to you. I have to admit. It stings when someone leaves the Church. It literally breaks my heart. It breaks my heart as well to see those Protestant brothers and sisters who have not yet come to the knowledge of the truth. They have intimate encounters with our Lord in prayer, with the Holy Spirit moving through their lives, but they are part of that broken body. On Good Friday, during the Solemn Intercessions, we pray and chant the beautiful prayers, praying for the whole world. The 5th Intercession is a prayer of Unity for All Christians. In it, we acknowledge that we pray for all who believe in Christ, that they who have been consecrated by Baptism, might be gathered together and united in Christ’s One Church. to gather them together and keep them in his one Church. Many times, when someone leaves the Church, they are “re-baptized.” It’s as if they say that their Baptism didn’t work. Many say: “Oh, this time I chose it for myself.” Okay, real-talk-sassy, Corey is coming out now. When someone says that, do you know what an insult it is? I mean really. Saying that the faith your parents raised you in, that the saving waters pouring from the Side of Christ and opening the recipient to new life “didn’t work,” “didn’t take,” or “wasn’t your own decision” is a huge insult to the faith, the love, and the desire of your parents for you to be with them and more importantly, Jesus, forever in Heaven. By being “re-baptized” one is saying, that their parent’s desires of passing on the faith, of opening the Kingdom of Heaven and the Life of Grace to you through the saving waters of Baptism shouldn’t have been done. It’s not saying that it’s your own choice, it’s saying that Christ’s saving act wasn’t good enough for you the first time. He, the creator of perfection, the all-powerful God couldn’t do something right? I don’t think so. So, what does the Church have to say in all of this? She says, as long as Baptism has been performed through the Trinitarian formula, we acknowledge it and respect it for we are baptized once for the forgiveness of sin. Throughout my years of working with men and women coming into the Church through the Rite of Christian Initiation of Adults, I am always overwhelmed and overcome with joy when they learn that they don’t have to (nor can they) be re-baptized. The marks of Baptism form an indelible mark on the Soul of a Human person. They claim that soul for Christ. It is a mark that can never be washed away or erased. For someone who has had a long life as a member of another Christian denomination, to hear that those years of learning and growing in their relationship with Jesus mean something, that their choice to choose Baptism (or their parent’s choice to choose Baptism for their child) means something is always an overwhelming moment for those individuals. The Church recognizes the unity and the joining into the family of God which Baptism initiates in the lives of the Christian. We respect that. We honor that. Because we honor Christ. Because we honor the faith. Because we honor and take him at his word. You are our brother. You are our sister. That is what the Church says when she says that we recognize one Baptism for the forgiveness of sin. We recognize the unity of the Family of God, even though that Body might be broken, that Body is still one. One of my friends has a very, very deep faith life. She has an incredible relationship with Jesus Christ, one which at times I could be a little envious of. She was telling me the other day about how she lives down the road from a Catholic Church. She said that when life gets stressful, when she doesn’t know what to do, when she is struggling in prayer she walks down to the Catholic Church because they have a “24/7 prayer room.” (her words) She said that when she is in that room, she can’t explain it but she has the deepest prayer experiences and the greatest amount of comfort and experience of peace she ever has. I had to laugh. The prayer room she talks of is the Perpetual Adoration Chapel at this Church. It is the chapel where Jesus Christ, our Lord and God, our Savior and Redeemer, is exposed in the Monstrance upon the Altar. He the Lord of all, the King of Kings, the Creator of the Universe is hidden under the simple form of a piece of bread. The ultimate act of humility. God becomes man and not only does he become man to redeem man, he hides his flesh under the forms of simple food; bread and wine, which he gives to man to nourish him, restore and strengthen man’s relationship with God and bestow upon him grace upon grace upon grace. I laughed, because she experienced this peace, the greatest sense of comfort she has ever felt because as she sits in that “24/7 Prayer Room.” She sits face to face with the Body, the very person of her Risen Lord, Jesus Christ. And slowly. Slowly she’s coming like the men along the Road to Emmaus to know Him in the Breaking of the Bread. Whether they like it or not, those who are outside the Church are our brothers. And as our brothers and sisters, I promise you that we will strive to treat you with love, respect, and dignity. To my brothers and sisters, my friends, my family members, come home. Please. I mean this with all of my heart. Whatever is keeping you, is separating you, is stopping you from remaining in the One, Holy, Catholic, and Apostolic Church that Jesus Christ founded upon the rock of Peter and the 12 Apostles, don’t let it have any more power over you! Don’t let Satan continue to deceive you and keep you from Him, the Creator, the Master Sculptor who created you wonderfully, and beautifully, to be his and His alone. Come home to Jesus. Come home to his Church. Take him at his word. If Jesus Christ, the King of Kings, and Lord of Lords said that: “This IS My Body, This IS My Blood” Why not believe him? Why not take his words and believe them completely? If you have wounds. If someone in the Church has wronged you, if you don’t understand something, I’m sorry. I truly, truly am. And I extend to you the invitation to reach out, I won’t be sassy. I won’t be judgmental. I just want to listen, acknowledge and honor your wounds, misunderstandings, your past and I want to invite you to be healed. And I promise to stand by you and walk beside you as you explore, search, and consider coming home to Him who died for you. We love you! HE loves you! Come home! We entreat you, brothers, as earnestly as we are able, to have charity, not only for one another, but also for those who are outside the Church. Of these some are still pagans, who have not yet made an act of faith in Christ. Others are separated, insofar as they are joined with us in professing faith in Christ, our head, but are yet divided from the unity of his body. My friends, we must grieve over these as over our brothers; and they will only cease to be so when they no longer say our Father. The prophet refers to some men saying: When they say to you: You are not our brothers, you are to tell them: You are our brothers. Consider whom he intended by these words. Were they the pagans? Hardly; for nowhere either in Scripture or in our traditional manner of speaking do we find them called our brothers. Nor could it refer to the Jews, who do not believe in Christ. Read Saint Paul and you will see that when he speaks of “brothers,” without any qualification, he refers always to Christians. For example, he says: Why do you judge your brother or why do you despise your brother? And again: You perform iniquity and common fraud, and this against your brothers. Those then who tell us: You are not our brothers, are saying that we are pagans. That is why they want to baptize us again, claiming that we do not have what they can give. Hence their error of denying that we are their brothers. Why then did the prophet tell us: Say to them: You are our brothers? It is because we acknowledge in them that which we do not repeat. By not recognizing our baptism, they deny that we are their brothers; on the other hand, when we do not repeat their baptism but acknowledge it to be our own, we are saying to them: You are our brothers. If they say, “Why do you seek us? What do you want of us?” we should reply: You are our brothers. They may say, “Leave us alone. We have nothing to do with you.” But we have everything to do with you, for we are one in our belief in Christ; and so we should be in one body, under one head. And so, dear brothers, we entreat you on their behalf, in the name of the very source of our love, by whose milk we are nourished, and whose bread is our strength, in the name of Christ our Lord and his gentle love. For it is time now for us to show them great love and abundant compassion by praying to God for them. May he one day give them a clear mind to repent and to realize that they have nothing now but the sickness of their hatred, and the stronger they think they are, the weaker they become. We entreat you then to pray for them, for they are weak, given to the wisdom of the flesh, to fleshly and carnal things, but yet they are our brothers. They celebrate the same sacraments as we, not indeed with us, but still the same. They respond with the same Amen, not with us, but still the same. And so pour out your hearts for them in prayer to God. 52The Jews quarreled among themselves, saying, “How can this man give us [his] flesh to eat?”53Jesus said to them, “Amen, amen, I say to you, unless you eat the flesh of the Son of Man and drink his blood, you do not have life within you.54Whoever eats* my flesh and drinks my blood has eternal life, and I will raise him on the last day.55For my flesh is true food, and my blood is true drink.56Whoever eats my flesh and drinks my blood remains in me and I in him.57Just as the living Father sent me and I have life because of the Father, so also the one who feeds on me will have life because of me.b58This is the bread that came down from heaven. Unlike your ancestors who ate and still died, whoever eats this bread will live forever.”59These things he said while teaching in the synagogue in Capernaum. If I don’t preach the Gospel, what can I ever hope to do? We are bound by love, by the commission of our Baptism to proclaim Christ, crucified, resurrected, and alive to each we encounter! Here’s a great reflection on our duty as Christians from Blessed Paul VI, Pope. How have you proclaimed Christ today? Have you? What’s holding you back? Don’t wait! All things, all history converges in Christ. A man of sorrow and hope, he knows us and loves us. As our friend he stays by us throughout our lives; at the end of time he will come to be our judge; but we also know that he will be the complete fulfillment of our lives and our great happiness for all eternity. The image I present to you is the image of Jesus Christ. As Christians you share his name; he has already made most of you his own. So once again I repeat his name to you Christians and I proclaim to all men: Jesus Christ is the beginning and the end, the alpha and the omega, Lord of the new universe, the great hidden key to human history and the part we play in it. He is the mediator—the bridge, if you will—between heaven and earth. Above all he is the Son of man, more perfect than any man, being also the Son of God, eternal and infinite. He is the son of Mary his mother on earth, more blessed than any woman. She is also our mother in the spiritual communion of the mystical body. Remember: [it] is Jesus Christ I preach day in and day out. His name I would see echo and re-echo for all time even to the ends of the earth. Pray God that we might preach our Lord even with our final breath! As I sit here on the shores of Lake Atitlan this morning, the Office of Readings this morning had provided another gem to chew on and mull over. “The life of the Christian has three distinguishing aspects: deeds, words and thought. Thought comes first, then words, since our words express openly the interior conclusions of the mind. Finally, after thoughts and words, comes action, for our deeds carry out what the mind has conceived. So when one of these results in our acting or speaking or thinking, we must make sure that all our thoughts, words and deeds are controlled by the divine ideal, the revelation of Christ. For then our thoughts, words and deeds will not fall short of the nobility of their implications. What then must we do, we who have been found worthy of the name of Christ? Each of us must examine his thoughts, words and deeds, to see whether they are directed toward Christ or are turned away from him. This examination is carried out in various ways. Our deeds or our thoughts or our words are not in harmony with Christ if they issue from passion. They then bear the mark of the enemy who smears the pearl of the heart with the slime of passion, dimming and even destroying the luster of the precious stone. On the other hand, if they are free from and untainted by every passionate inclination, they are directed toward Christ, the author and source of peace. He is like a pure, untainted stream. If you draw from him the thoughts in your mind and the inclinations of your heart, you will show a likeness to Christ, your source and origin, as the gleaming water in a jar resembles the flowing water from which it was obtained. Does my life bear witness to the marks of our Savior, crucified? Does my life lead others to Christ through my thought, word, deed, and action? “Our lives are stamped with his thought” we’re created in the very image of the living God. Do our lives reflect the beauty and love of our creator? “The inner and outer man are harmonized in a kind of music.” Are we healthy? Do we know ourselves? Who we are before God? Who we are before our brothers and sisters? Does our inner life and outer life live in harmony, reflecting the beautiful work of His hands that we are? Crying in Antigua. Yep. That’s right. Tonight I cried. Lagrimas son el lenguaje del corazón! “tears are the language of the heart!” At La Merced today, we had Adoration for the whole day. It provided me with a lot of time for reflection and prayer on and off during my free time and my Holy Hour before Mass. Truthfully, I was a bit homesick today. I had been having problems with the bank the school recommends and them not accepting my debit card to withdraw funds over the past few days. Finally, after talking with my teacher and a lady at the bank, I was directed to an ATM that looked and is supposed to be safe, that worked! Praise God! I had to celebrate by engaging in a little “ganga” or barter with the merchants on the street. Gonzalo, one of the shopkeepers who remembered my name practiced Spanish with me for a little bit, with irregular verbs. “Con-yel-in” (no clue how to actually spell her name) told me that I would be her favorite customer if I came back and bought a table runner, wrap, or scarf from her tomorrow. She said she’d wait for me. Well…After the hard bargain and walking away I had to do with her friend, she might be waiting a bit longer for me to buy something else from them. Haha. At least I know the two locations they set up shop. Class today was long. But it was very very good! My teacher, Matilde is super sweet, very devout, and very good. She has me doing a wide range of things in the classroom and after 10 hours, I’ve already felt more comfortable and have been able to practice speaking with others with more frequency. I’m excited to see what else I’ll learn in the coming weeks! Tonight at dinner, the sister of my Madre de La Casa came over, so it was just her, Janet’s daughter and myself enjoying the delicious chicken and pasta, Janet had cooked for us before she left. BTDUBS…Janet is an AWESOME cook. Like people ask me in shops and church where I live and they all comment on her cooking abilities! Milna, Janet’s sister shared with me about the struggles of her fathers death last year and caring for her mother with dementia. For 40 minutes, I was able to sit, to listen, to respond (in spanish) and to pray with her. Never, Never, in my life did I think that I’d be able to do any sort of pastoral care or ministry while here in Antigua. And yet, the Lord took my little bit of home-sickness and worry, made it better and then challenged me to grow in my spanish as I was present to and spoke with Milna. And so for 40 minutes, we went back and forth taking turns crying. Milna, for the loss of her father and pain of her mothers condition and me as my heart broke for the pain Milna was going through. We talked of how we come into this world as children and the Lord in his love takes us out like children, Christ said: “Let the children come unto me!” And it is very very hard to experience our loved ones when they age, but there is a beauty and a joy with hit as well. more like his. Conversion happens all of the time. And for me, it happened tonight while speaking and listening in Spanish in one of the smallest towns in Guatemala, a beautiful town situated between volcanoes in a valley with people who have such an outstanding sense of faith and devotion. Join me in praying for Milna, for her mother, for the repose of the soul of her father, and that my heart might become more like HIS Sacred Heart. May the Lord allow us to choose nothing. Nothing, but him and may we have the courage to follow that call. Even if it means conversion, if it means hurt, if it means crying, and sharing in the lives of others. I’ve been absent from my blog for a while now, as I was busy with school things again. Now that it is the summer I thought I’d use the time to post more, especially about my experiences here in La Antigua, Guatemala. Yes, dear Toto that’s right. I’m no longer in Kansas, Indiana, Illinois, or Kentucky anymore. In fact I’m quite a bit south in Central America spending my summer doing a Spanish immersion course at the “Probigua” school here in Antigua. I’ll give more details about the school as time goes on. For now, I’d like to focus on what my first 24 hours has been like, share some photos with you all and then go to bed, because my first day of class starts in the morning. Anywho, it took me almost 13 hours to go from Bowling Green, KY to Antigua. After arriving at the airport, I was met by Reginaldo, my driver sent from the school who took me on a little over an hour drive to Antigua. Curvy roads, crazy traffic, and no uses of turn signals, just honks of the horn led us out of town into the beautiful, and I mean BEAUTIFUL mountains. Then we went down down down, left paved roads and for a brief moment it seemed, civilization behind as the van began to bump, jerk, and pitch on the cobblestone streets of beautiful La Antigua. As we drove along, I thought to myself: “gee, this place is bigger than I thought.” Bright colors, clay tile roofs, crumbling plaster, statues of saints, churches, ruins of churches, people, smiling people, laughing people, kissing people (apparently the park near my house is where the young teenagers go scuba diving or something. It’s a wonder after the length of their kisses that they don’t need to come up for air sooner. HAHA just kidding.) working people, poor people, people driving Jeeps, people driving Audis, Volvo’s, Volkswagens, Toyotas… the list goes on and on and on. Once we arrived at my house, we stood out side the gate, me looking up at it, waving hello to the two women making tortillas in the store across the road, and my driver climbing in the van and beginning to pull away. “Wait!,” I exclaimed as he stopped inching forward. “Is someone coming to the gate?” I asked. “Sí, he’s coming.” “Reginaldo replied and sure enough the gate began to open. But it wasn’t a man. It was my Madre de la casa, my House Mom, Sñra. Flores! “Corey, Bienvenido a Antigua y mi casa!” she said. And then it got real. Reginaldo spoke english and didn’t practice spanish with me on the way down. Sñra. Flores only spoke to me in spanish. I only spoke to her in spanish. Did I just communicate for 15 minutes in spanish? I thought to myself as I sat my backpack down on my bed inside my room she had shown me to? Yes. Yes I had. Wow. Never in my life have I done that before. Sñra. Flores made me a delicious lunch of rice, and chile de renos and pickled cucumbers. After getting a key from her, as well as the Wifi password, I texted my Mom, Vocation directors, priest friends, and others who were wondering about my safe travels to let them know that all was well and I was happy. But was I really happy? The truth is, when Father Andy and Father Josh gave me a blessing before I got in the car with Preston to drive down to Nashville at 2 in the morning, my stomach was doing flips. Infact, until lunch, my stomach was doing flips. After lunch, they stopped but then they started again. Oh no. Not indigestion, not the cucumbers, what did I eat? Maybe she didn’t actually have purified water for me to drink? What if I get mugged? What if I die here? Oh shut up Corey. You need Jesus. You haven’t gone to Mass yet today and you need to pray. So I asked Sñra for directions (in Spanish) and I headed out to find my parish for the summer: La Merced. La Merced is an absolutely beautiful parish, built in a spanish baroque style. I walked around the church, found the Beautiful Blessed Sacrament Chapel, plopped down and prayed. I asked Our Lady and our Lord to really help me this summer. I asked them to help me be at home. To quench my home-sickness, to help me to grow in faith and love. And to fill that parenthesis, that Paulo Coelho talked of with a summer of abundant blessings. And after praying my rosary, I kept falling asleep so I headed back to my casa for a little siesta. I was awakened to the sound of Sñra. Flores calling from downstairs: “Corey…. Corey….Corey….Corey….” And I in a half asleep state after recognizing that it wasn’t a dream answered: “I’m coming! Un momentito por favor!” There went my first english words. LOL. I had a lovely dinner (which I had forgotten about in my tired state) with Sñra Flores and her daughter Daniella. We had Guatemalan Tamales, different but just as tasty as the mexican tamales I have grown up with. I had a lovely time speaking in spanish to them, they spoke slowly so I could understand them and we found out more about one another. We canonized my Mom, for having trisos or triplets and I shared photos, laughed, had questions answered: “Que hora es la Misa a La Merced En la Mañana?” What time is the Mass at La Merced in the morning. After Mass, they had Presentations of around 12 babies. Father would pray, throw a bunch of holy water on them, they would cry, he would lift them up above the people (to my eye level lol) and then we would applaud. It was a bit different than in America, but this was the quick version from what I gathered. I prayed mid-morning prayer as it was now 10:24 or so and headed down the street in search of brunch. Father Gary had recommended me to try Luna de Miel. I am so glad I did. They make sweet and savory crepes as well as smoothies. A delicious, cheese, bean, and ham crepe with a watermelon/mint/OJ smoothie and aqua pura a bottle of water while sitting on a balcony overlooking part of the city was perfect. At 11am the bells of the church started to ring and the next Mass began. I loved listening to the bells all day long. After Brunch, I went walking, exploring, getting my bearings on things. I had already found the school last night, so I wanted to venture out even more. I ended up first finding and taking the necessary picture in front of the Arch of Saint Catherine. Arco de Santa Catalina. Walked into some beautiful shops with kind shopkeepers who visited with me, inquired where I was from, where I went to school in town, how long I was visiting for, where I had been, and offered assistance in directing me to places I wanted to visit. They even promised prayers for me when they found out I was a seminarista. Like Paulo said: In each moment ” we have stopped to encounter each other, to love, and to share.” Part of the Spanish immersion involves sharing. And strangely my extroverted side was working overtime and I was making friends, meeting people, and speaking to them in spanish all within my first 24 hours. Wow! I visited downtown in the Parque Central, found where I could go to the bank in the morning to obtain some more Guatemalan currency. (Thankfully both places I ate at accepted USD, but thanks to Robin Murphy, now an alumnus of Saint Meinrad, she had sent me with about $20 worth of Quetzales, so I used that for my meals today. I visited a few more places, then headed back to the casa as it was starting to get rather warm. I purchased some bottled water for brushing my teeth on my way back, got back to my room and took a nice siesta. did some reading. Afterwards, it was time for dinner so I went in search of a new place. I had passed a few cool restaurants on my way earlier in the day, so I headed back to the parquet central to see what I could find. I ended up in a beautiful little Café Condessa or the Café Contessa, named after the beautiful old home belonging to a line of Counts and Countesses it was located in. I kept thinking back to one of my favorite films: “The Count of Monte Cristo” even though they speak french and I was speaking spanish. I was able to FaceTime my Mom there for a bit before the Wifi started to cut out more and then I switched to texting. After a delicious meal, I headed to see the old Cathedral, pray EP, and work my way up some new streets back toward La Merced, so that I could pray my rosary and make a Holy Half Hour. I wanted to beat the rain. Luckily I did, made it home, and was able to type up this little blogpost about my time thus far. more spanish into my posts (and translations) as well as photos and stories of my time here, the people I encounter, and the place which already I am coming to love very very much. This is truly a precious moment in my formation, in my life, and in my journey to become the man God has created me to be. Pray for me that my time might be fruitful, that I might be generous, and that I might be able to as I prayed this morning on the Feast of Pentecost, to speak in Spanish. The Apostles could be heard in many different languages, I for now, only ask to be heard and be able to use one. Good night, Buen Noche desde Antigua! I’m praying for you. I hope you’ll say a prayer for me! Lower right: the little inner courtyard going to my house and others.